Upgrade your work vehicle with the new Steelcraft STX600 running boards. The STX600 utility boards are made to take a beating on a daily basis. These utility boards are constructed from 14-gauge carbon steel that is stamped with traction lugs for maximum traction in all weather conditions. The STX600 utility boards will save you from potential injury while entering and exiting your vehicle. 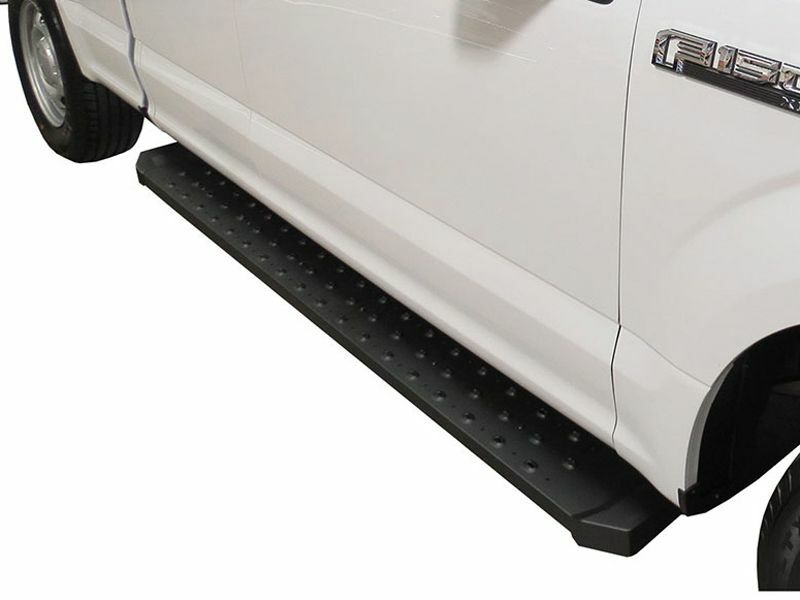 With its wide 6-1/2" surface, it allows for a comfortable and safe step into your vehicle. Don't worry about this running board rusting. The STX600 is coated to resist rust and corrosion and then powder-coated with industrial grade powder. This board will survive through the elements and will take a lifetime of punishment. The Steelcraft STX600 running boards are equipped with end caps that will deflect material and help you keep your vehicle looking good. This is a quality built accessory that will make your life easier so order a set of STX600 utility boards for your work vehicle today. Steelcraft guarantees the original purchaser a limited three year warranty from the date of purchase against manufactured defects in materials, workmanship, and finish under normal use. This excludes damage resulting from road hazards, debris, product misuse, improper installation, impairments from accidents, neglect, shipping, or product modification. This warranty applies only to new products and is limited to the repair or replacement of Steelcraft products. Warranty does not include cost of removal, installation, labor, freight, inconvenience, or consequential damage. Original purchaser must return defective merchandise to original place of purchase and must provide original receipt. The Steelcraft STX600 running boards come with a step by step installation guide to help your mount your new boards. For any additional questions please call us at 877-216-5446.